The United States of America is an absolutely beautiful country with infinite sights to see. Fortunately for us, much of our natural beauty is protected by National and State Parks. Many roadtrippers from all over the world dream of driving or motorcycling across our country for the ultimate tour. Many Americans haven’t seen the real expanse of their home and often make this a priority bucket list item. 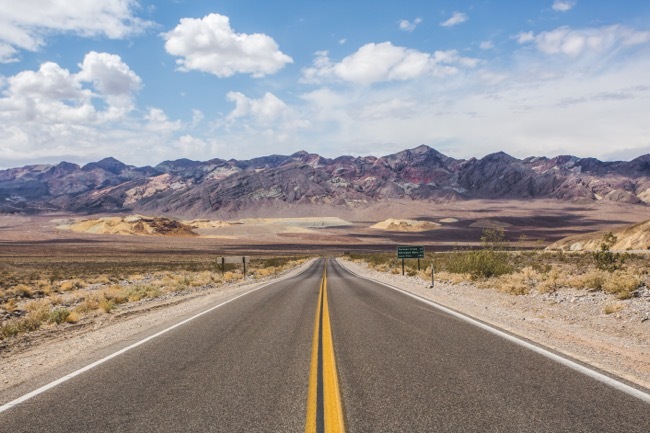 This begs the question: What scenic routes should you hit along the way? Assuming you were to go east to west coast, where the landscape “opens up,” here are 11 spectacularly scenic routes you will enjoy. 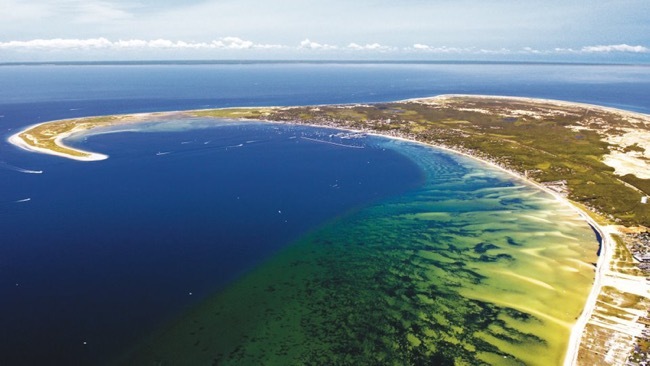 Cape Cod is a viable option for starting your trip on the Atlantic Coast. Route 6 in Massachusetts wraps around the landscape making for stunning ocean views. Travelers enjoy the route from the Provincetown beach, through the Cape Cod National Seashore, to the mainland in about 18 miles. Perhaps after taking slight detours to see Boston or New York City and heading across the hills of Pennsylvania, you’d like to treat yourself with a grand introduction to the Midwest. 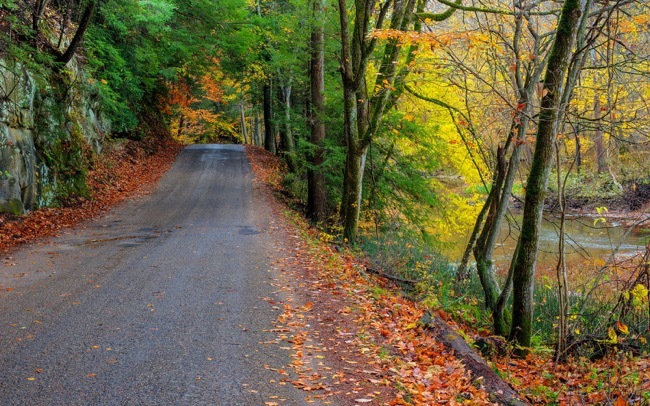 Hocking Hills Scenic Byway is a great choice. “The Gateway to Ohio’s Scenic Wonderland” winds through Hocking Hills State Park surrounded by views of waterfalls, cliffs, caves, and a beautiful display of foliage, especially during fall. Next, head southeast to the Blue Ridge Mountains of Virginia. 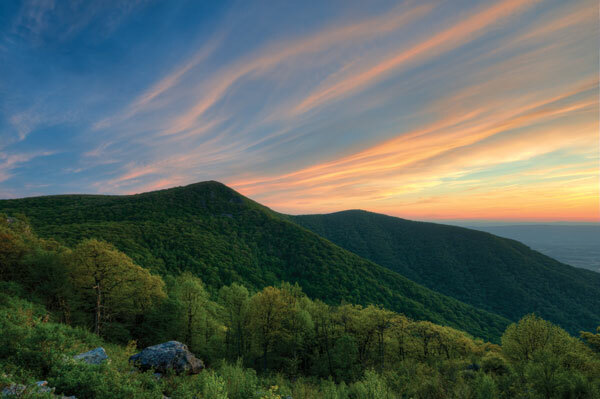 See the Monongahela and George Washington and Jefferson National Forest, then drive 105 miles across the entire length of Shenandoah National Park. This route is known as Skyline Drive because it runs across the very top of the mountains, offering views literally as far as the eye can see. Make your way south through the Cherokee, Nantahala, and Chattahoochee National Forests. By now, you’ll be well into Georgia. At this point you’ll decide whether to detour through Florida to see the Overseas Highway, but a much closer option is Route 98. 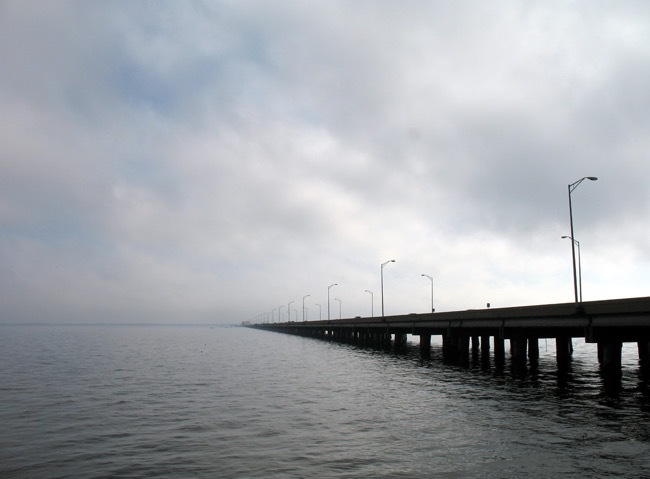 Starting by Tallahassee and ending in Mobile, Alabama, this route hugs the Gulf Coast for roughly 300 miles with spectacular ocean views, all while running through several forests and wildlife reserves. Soon comes the seemingly endless expanse of Texas (almost 900 miles from east to west). This may seem quite boring to be in one state for so long. Fortunately, there are some detours and mesmerizing landscape to see. 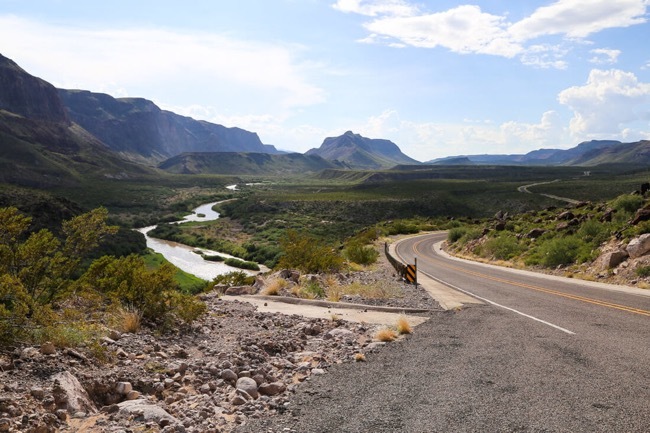 After Houston, San Antonio, and Texas Hill Country, you’ll come to Big Bend National Park. After soaking in the sites, you can then pick up River Road. The desolate two-lane dances with the Rio Grande — the United States-Mexico border — for quite some time, 115 miles to be exact. By the end, you can head northwest to El Paso. North of Phoenix is the Red Rock Scenic Byway. This 15-mile stretch of desert road goes through Coconino National Forest and displays the unique nature of the land, including the massive red rock and sandstone formations. Red Rock State Park connects to the route and is definitely worth checking out. Afterward, it is mandatory that you go straight to Grand Canyon National Park. After all, it’s the the main attraction for most cross-country trips. 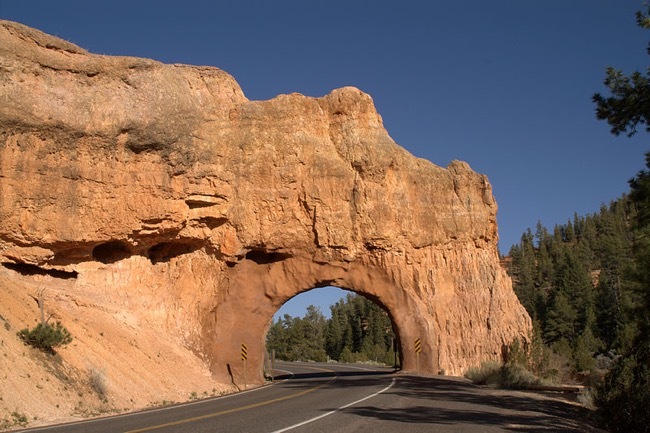 Four hours north of the Grand Canyon you can pick up Scenic Byway 12 in southern Utah. The 122-mile route runs around, on top of, and straight through rock formations. Nearby scenic attractions include Calf Creek Canyon, Red Canyon in the Dixie National Forest, and the Grand Staircase-Escalante National Monument. Get the camera out. After Utah, you may choose to take the shorter route through Salt Lake City and into Idaho. Alternatively, you could backtrack east to see the mountains of Colorado and drive up Pikes Peak. Either way, it is highly recommended that you stop by Yellowstone National Park. 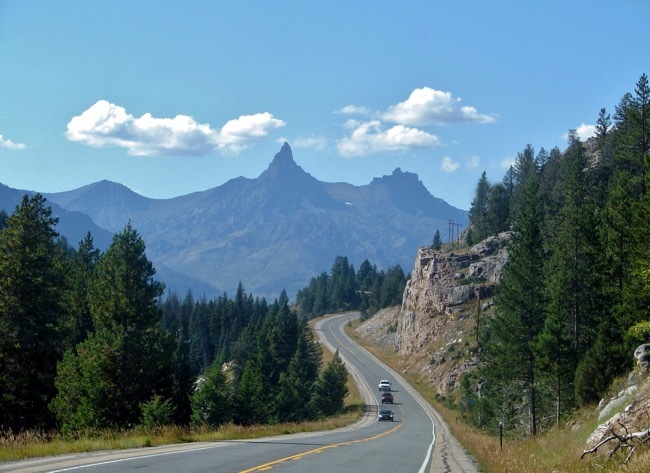 Make a grand entrance to the international landmark by taking the Buffalo Bill Scenic Byway. Simply start in Cody, Wyoming and head west, young man. At this point, you’ve already seen the southern border while in Texas. Why not travel up to the north side of the country? To make this a truly memorable experience, you can drive up to the sky on the Going-to-the-Sun scenic mountain road. 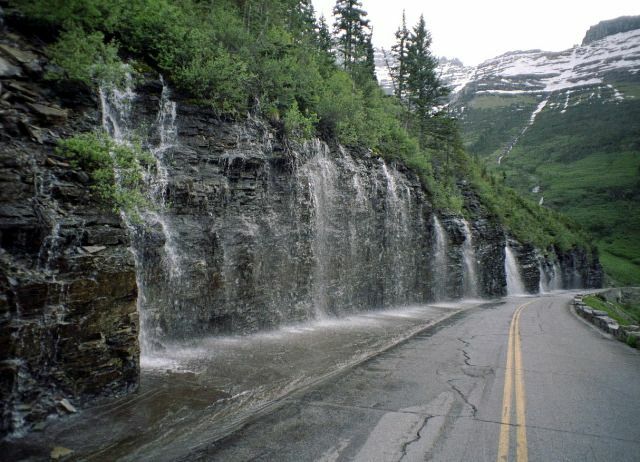 Right in the middle of the Rocky Mountains, in Glacier National Park, this treacherous 50-mile road crosses the Continental Divide at its peak elevation of 6,646 feet. The landscape will probably make you abandon using the term “small world” in any instance. More than 80 feet of snow can pile up on the road during winter months. Needless to say, this route is often closed winters. 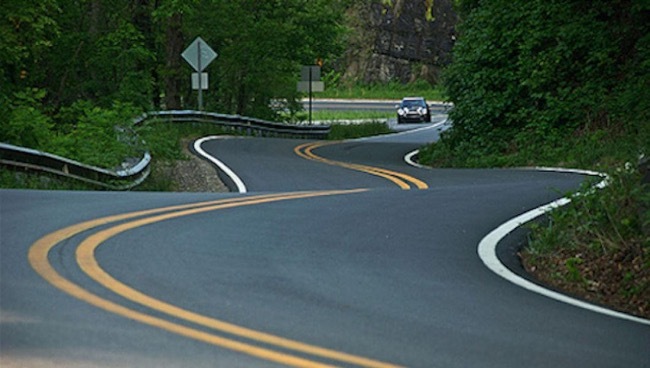 Even in the summer, any mountain road can be dangerous if the proper precautions are not taken. You may opt to go straight across the desert to California after Arizona, and save the northern sights for another time. Either way, you should definitely hit the last-but-not-least route on the west coast. 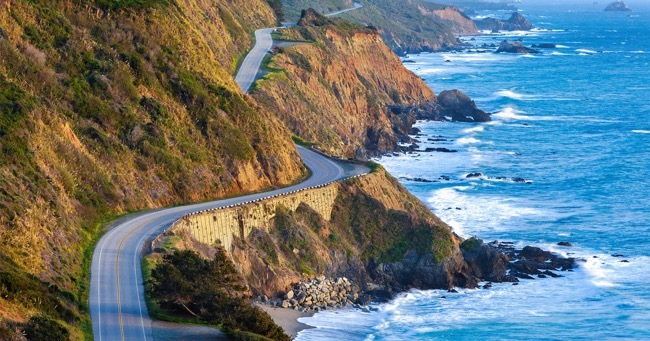 That is, the Pacific Coast Highway. Northern travelers will enjoy watching the change in landscape and weather coming from the Pacific Northwest. This route stretches 655 miles, and no matter how much or how little you drive it, it’s sure to amaze. 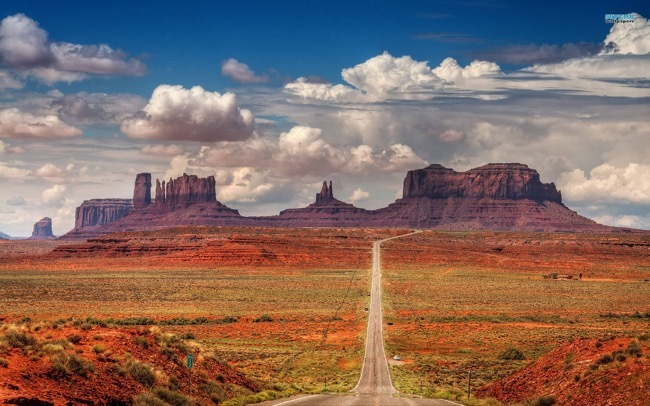 So there you have it, 11 beautiful scenic routes for your trip across the United States. Of course, you can add or remove stops or detours, and customize your route as much as you like. Safe travels!